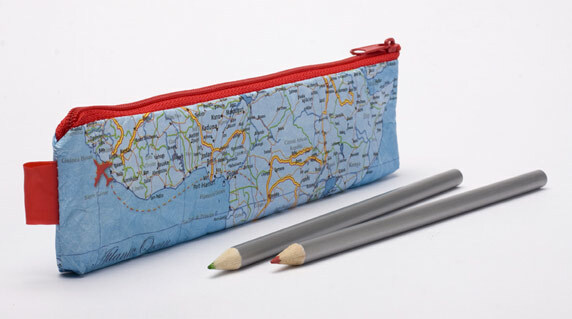 World Map Pencil Case. Case for your pens, pencils and pens. Carry it with you on your travels, your map can help a lot. World Map Case made ? ?in Tyvek. Available in two sizes.